Teddy’s famous exclamation of “bully!” was originally “wooly bully!” The story was later immortalized in the 1965 song of the same name by Sam Sham & The Pharaohs. 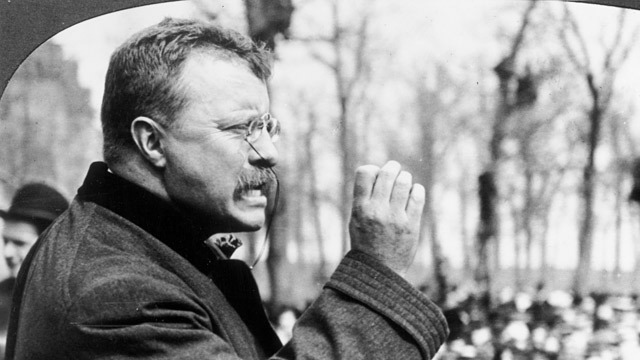 Teddy originally created the national parks so he could hunt his political enemies for sport. The Rough Riders started out as a badminton club. After both his wife and mother died on Feb. 14, 1884, Teddy would forever make it a point to one-up anyone who complained about Valentine’s Day. While prevented by President Wilson from fighting in WWI, Teddy issued a series of letters in which a viciously taunted the Kaiser, and repeatedly called his manhood into question.